Annual furnace inspections might seem fussy or a nuisance, but they’re just the opposite. Maintenance and tune-up visits are important, and there are several good reasons why HVAC contractors strongly recommend you have an inspection performed before the beginning of each heating season. During your annual tune-up, the technician who visits your home will clean your HVAC system inside and out, and that will prevent your furnace from spreading airborne contaminants once it’s switched on. The technician can also change your air filter for you, if you aren’t comfortable doing it yourself. If you’ve been buying cheap filters, the technician will recommend a superior model that will do a much better job of capturing dirt, pet dander, pollen, chemical traces and other indoor pollutants that can damage your health. Tune-ups focus on smooth operation of the system, and one of the first things a technician will check for is restricted airflow. This can happen if the air filter is clogged, if the blower is plugged with dirt or other debris, or if there are obstructions inside the ductwork. Malfunctions in a gas furnace can be especially dangerous. Gas leaks or carbon monoxide buildup can be fatal if they aren’t addressed quickly, but fortunately a trained technician can keep your furnace in good working order to make sure these types of problems don’t arise. Do you want to pay a little bit now or a lot more later? Annual maintenance inspection plans are a cheap and easy way to avoid costly repairs, since they allow HVAC technicians to uncover and fix small problems before they turn into much bigger problems, which could conceivably threaten your furnace’s survival. Annual maintenance inspections are unobtrusive and can be fit in around your schedule. But breakdowns are unexpected and unpredictable, and if your furnace goes out on the coldest night of the year, or during one of your busiest work weeks, it could cause significant disruptions to your personal and professional life. It could even force you to leave your home for a few days, while you wait for an HVAC technician to finish the necessary repairs. High-quality furnaces can only deliver superior performance if they are kept in prime working order. All the parts of a furnace need to be cleaned on a regular basis, and without consistent maintenance dirt and grime can build up and interfere with efficient furnace operation. Did you know that most manufacturer’s warranties become null and void if the furnace is not regularly maintained? 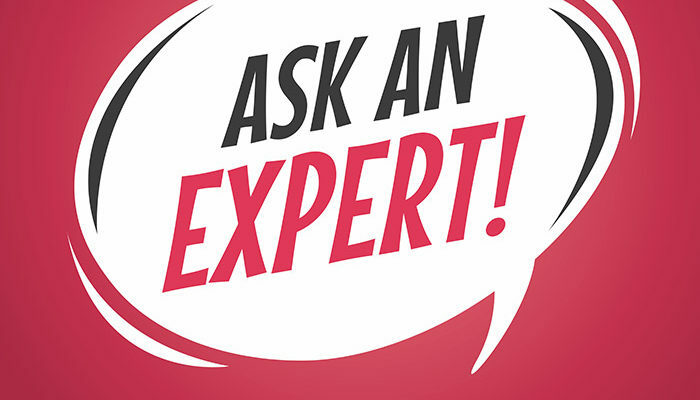 Needless to say, it is not in your best interest to negate your furnace’s warranty, and just the fact that manufacturers require maintenance and tune-up visits tells you how vital they are to the health and welfare of your HVAC system. Like other heavy-duty appliances, furnaces face an enormous workload, and if they aren’t well-maintained they can fail suddenly and without warning. Neglecting a furnace is a recipe for disaster, and if you skip on maintenance inspections you’ll be asking for trouble. But if you keep them fine-tuned and fully ready for action at all times, they can last for 15 years or more. When furnaces are neglected they won’t operate at peak efficiency, that’s an undeniable fact. They will struggle to handle their heating responsibilities, and that means you’ll be left shivering on the coldest nights when you should be toasty and comfortable. Annual maintenance inspections are the best way to prevent this unfortunate occurrence, and if you fail to have an inspection done your personal comfort may be seriously compromised. In Colorado and Wyoming winters can be long and severe, and you need to know that your furnace will be ready to go when you need it. Annual inspections are an excellent way to keep your furnace in top working order, and that is doubly true if you choose Rheem Pro Partner to handle the job. Our skilled technicians are experts in basic and advanced furnace maintenance, and we invite you to contact us today to schedule your autumn tune-up and inspection. In the average American home, heating and cooling costs can account for up to 50 percent of a family’s utility budget. In places like Colorado, where winter weather is more extreme than summer weather, a furnace may be responsible for most of these charges. In heating and cooling energy efficiency is what matters, and if your current furnace isn’t efficient you may want to make a change. AFUE is an acronym that stands for annual fuel utilization efficiency, and it is the primary measuring standard used to determine the energy efficiency of a natural gas furnace. AFUE is expressed as a percentage; specifically, it is the percentage of useful heat produced (in British Thermal Units, or BTUs) for each BTU of natural gas consumed during the normal operation of a furnace. A modern, superior-quality, high-efficiency gas furnace may have an AFUE rating of 95-98.5, which means that only a small percentage (1.5-5 percent) of the natural gas it consumes is wasted during the combustion process. The rest is converted directly into useful heat that can be distributed throughout your home. From a cost-benefit standpoint, a furnace with an AFUE rating of 98 would only produce two cents of waste for every dollar you spent on heating bills. 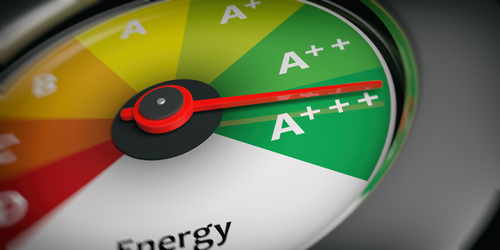 Many people choose to buy gas furnaces with AFUE ratings in the 78-81 range. These units are widely available and cost less than true high-efficiency models. 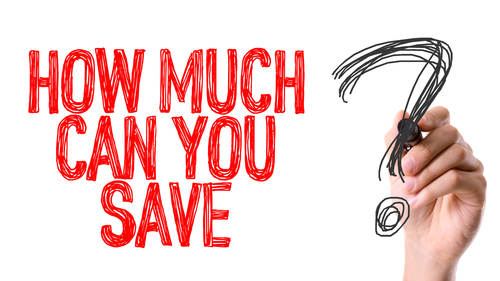 But folks who choose the cheaper option often fail to consider the savings that higher efficiency furnaces can bring. A furnace with an AFUE rating of 98 could save them up to 20 percent on their heating bills each and every month during the heating season, which can last for as long as six months in northern or mountainous regions. Needless to say, over time savings like this can really add up, enough to make the high-efficiency furnace a much better investment in the long run. If your existing furnace was purchased any time within the last 15 years, it should have a yellow label attached that will reveal its AFUE rating plus specific data about how much energy it might be saving you in comparison to less efficient models. If your furnace is older and has no such label, you can safely assume it is operating at far less than 80 percent efficiency and is needlessly costing you money. Unfortunately, AFUE ratings are only theoretical if regular furnace maintenance is not made a priority. Research shows that operating efficiency can drop by up to five percent for every year that basic furnace maintenance is neglected, so this is not a minor consideration. Before every heating season, you should contact your HVAC contractor to schedule an appointment for a tune-up and maintenance. During these annual visits, a trained HVAC technician will clean, test and inspect your furnace and ductwork from top to bottom and everywhere in between, and if any additional repairs are needed they can be arranged at that time. Clean ductwork is essential for good air flow, and you shouldn’t forget about having your ducts checked from time to time. Proper furnace maintenance is your responsibility as well, and you can contribute to the health of your appliance by changing your HVAC filters at the beginning of every heating season. Clogged filters will force furnaces to work harder, and that can cause your heating bills to climb rapidly. To guarantee reliable performance you should avoid cheap fiberglass filters, which get dirty quickly and don’t work efficiently even when they’re brand new. Furnace maintenance is a Rheem Pro Partners specialty, so we invite you to contact us today to arrange your annual tune-up and inspection. In Colorado and Wyoming we are the premier dealer of high-quality, high-efficiency gas furnaces from Rheem, the preeminent name in the HVAC industry, and if decide you’d like to purchase a new energy-efficient furnace we can help you select the best option for your home and budget. Find a Rheem Pro Partner Today! Brrr! Why does the furnace quit on the coldest day of the year and always on a weekend? We feel your pain! So, to help, here are a few things you can do to troubleshoot the problem before you have to call for an emergency repair. Your thermostat has an ON and AUTO switch that runs your blower. If the switch is in the ON position, then the blower keeps running, even when the furnace is not heating. As soon as the furnace cycles back on the air will warm up again. All you have to do is switch the thermostat to the AUTO position. Then, the blower only comes on when the furnace heats. A gas furnace has a small pilot light that stays on all the time. When the furnace cycles on, then the pilot light provides the flame that lights the gas and warms the air. If the pilot light goes out, then there is nothing to light the gas that fires the furnace. Lighting a pilot light is not hard but there are a few safety measures you need to follow. Never try to light a pilot light if you smell gas in the room. Call your gas company’s emergency line and they will send someone to inspect your furnace lines. If you don’t smell gas, then find the pilot light assembly. Most furnaces have a sticker with instructions on how to light the pilot light. If yours does not, then try to locate the gas valve. Switch it to the PILOT setting. Hold a lighted match to the pilot opening. If there is a reset button on the control panel, hold the button until the pilot light burns. Once it is going, set the valve to the ON position. If the pilot light won’t stay lit, then you may have a faulty thermocouple or a dirty port. You can try cleaning the port with a piece of wire. If the thermocouple is bad, you will need to call a professional to make the repair. Some furnaces have an electric starter instead of a pilot light. If you cannot find a pilot light, then an electric heating element is probably what ignites your furnace. When an element malfunctions, you will need to call an HVAC professional. 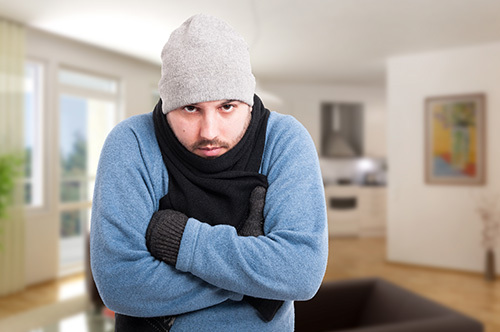 If you can’t get your furnace to blow any air, hot or cold, it’s possible it has overheated. Safeguards are in place that shut off the burners when the unit gets too hot. More often than not, the problem is a dirty air filter. Furnace filters should be checked frequently for dirt and debris. If you have pets you may find that you have to change out your filter as often as once a month. Once the air flow is no longer restricted and the unit cools down, the furnace should start blowing warm air. If none of these fixes takes care of your furnace problems or you are not comfortable troubleshooting the issue, contact a professional. Rheem Pro Partners are HVAC experts and have been serving Colorado and Wyoming since 1992. Most of us are accustomed to the sounds our furnaces make. We barely notice the hum of the blower running or the little pops from the air ducts. These are normal, but what about the noises that get our attention because they aren’t what we’re used to hearing? Sounds that are suddenly loud or increasingly loud over time, or have a different quality than the typical sounds could be a signal that it is time to call a professional for a repair or maintenance. Don’t ignore them. Delaying service could result in loss of service, more expensive repairs or premature replacement. A scraping, metal-on-metal sound is likely a problem with the blower wheel. One possibility is that the wheel has come loose and is scraping against the blower casing. If caught early, before there is much damage, your HVAC professional can tighten the wheel. This is a relatively easy and inexpensive fix. Another possibility is that the blower wheel is broken and needs to be replaced. Lastly, the most serious cause would be that the motor mount has broken and the entire blower assembly has dropped so that it is hitting the housing. Dirt on the furnace burners could cause a delay in ignition. When this happens, excess gas builds up and once it does ignite there is a small explosion. Eventually, these explosions can crack the heat exchanger, which is very expensive to replace and usually results in replacing the entire furnace. If you hear this sound, have a professional check it out right away. Regular maintenance, however, will prevent this from happening. Another cause of this type of noise could be expanding and contracting metal ductwork. This occurs when the air ducts are not the correct size or are too flimsy, if vents are closed or if the air filter is clogged. 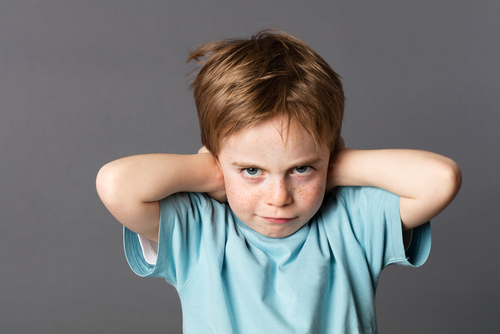 A high-pitched squealing noise is not as serious as the first two noises, but should be checked out by a professional to keep it from turning into a bigger problem. This type of sound may indicate a loose or damaged blower belt that should be adjusted or replaced by a technician. It could also by caused by a shaft bearing that needs lubrication; a technician can apply a lightweight oil where needed. Or, it could mean the blower motor is malfunctioning and needs to be repaired or replaced. Don’t let furnace noises keep you up at night! Contact a Rheem Pro Partner today in Colorado or Wyoming, to schedule your annual maintenance check, and sleep peacefully all winter long. 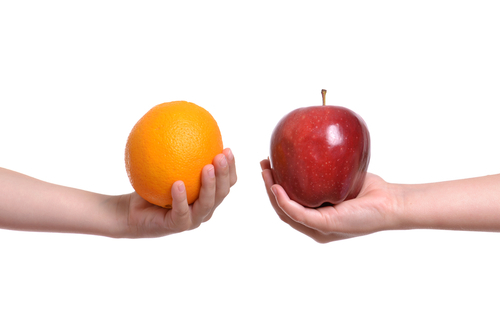 What’s the Difference Between a Single Stage, 2-Stage & Variable Speed Furnace? Choosing the right furnace for your home begins with evaluating several factors including heating requirements, existing ductwork and insulation, the size of your home and the number of levels, and, of course, your budget. Armed with that information, your HVAC professional can help you determine which type will best meet your needs: single stage furnace, 2-stage furnace or variable speed furnace. The single-stage furnace, also called a one-stage furnace, operates with only two settings: “on” or “off.” When it is on, it is at the maximum level of heat output, with no adjustment for how warm or cold it is outside or within different areas of your home. Because this type of furnace is always on “high,” it lags in energy efficiency behind the other options. The two-stage furnace is a step up in efficiency from the single-stage furnace, with two stages that allow for some adjustment for changes in temperature. Most (about 75%) of the time, this type of furnace operates in the first stage which is approximately 65-75% of the furnace’s capacity, saving on energy. When the temperature drops and more heat is needed, the second stage engages to meet the current heating requirements for as long as necessary. Once the temperature warms up again, operation returns to normal, so you are only paying for the additional energy when you need it. Because of the lower output most of the time, the furnace does run longer, but this also allows for more even heat distribution.Two-stage furnaces have quieter operation, are more efficient and are better for the environment. The variable speed furnace offers the most flexibility in terms of operation and energy use. Instead of stages, this furnace relies on a fan motor operating at different speeds to adjust the amount of heat output produced. Increased airflow results in greater comfort, because temperature is more consistent throughout the home, and better air quality because more air goes through the filter. Even when the furnace is not heating, air can continue to circulate, which actually reduces the need for it to turn on as often. This results in energy savings and lower utility bills. An added bonus: the variable speed furnace is quieter than the single-stage or two-stage furnaces. 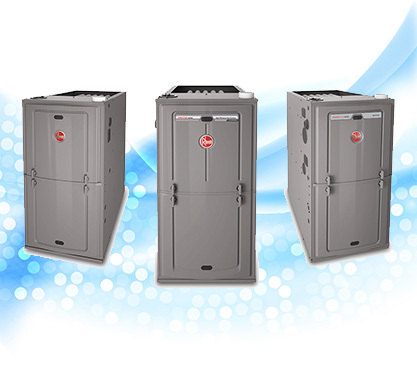 Rheem manufactures all three types of furnace. Find the new furnace that is best for your Colorado or Wyoming home. Contact a Rheem Pro Partner today!